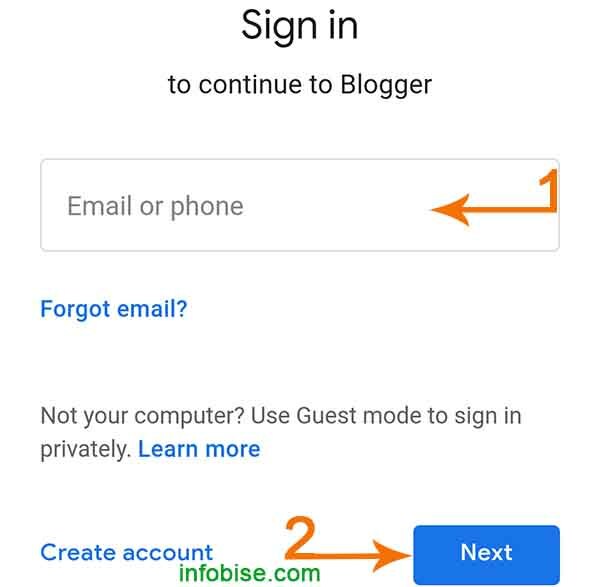 How to add a Contact Us Page in Blogger Blog: If you are a blogger and share post every day on your blog. It is important for you to create contact us page in your blog. It is easy for forthcoming visitors on your blog to contact us by creating this page. If visitors want to get any information they would consult with us. Like WordPress, we do not get the plugins to do every work on blogger. Therefore we use THIRD PARTY SCRIPT to add widget individually on blogger. The default contacts us pages are available on new upcoming templates. We can add it to our blog by modifying it. Today I will tell you how you can add a contact us page in your blog. 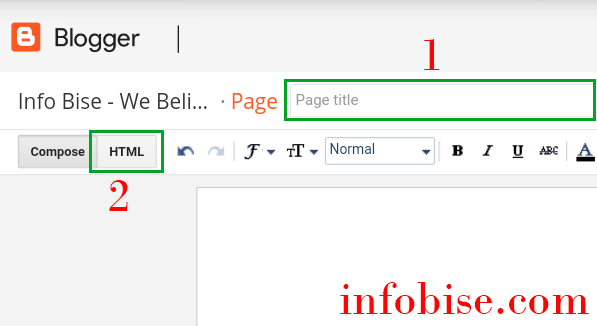 How to add Contact Us Page in Blogger Blog? To create contact us page on blogger blog first log in to Blogger.com. Now a Blog Dashboard will be open in front of you. 1. Click on the page option, a new page will be open. Click on new page option from this page. 2. Assign contact our name to the title of the page. 3. Now select HTML mode of the page. Now paste the given code in HTML editor and publish this. 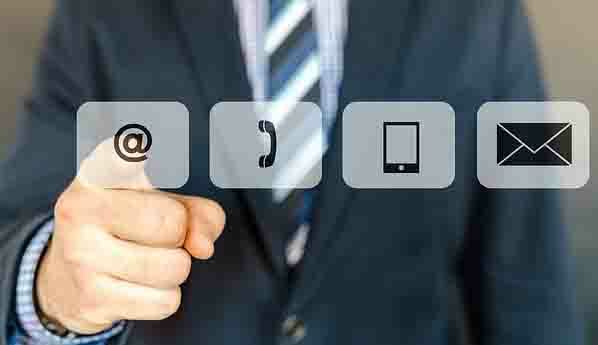 Your contact us page has created. 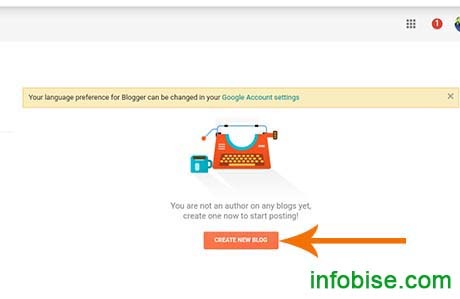 How to add contact us page on the blogger home page? 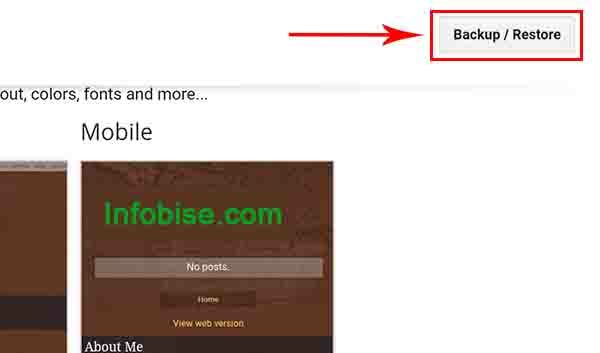 If you want to add contact us page separately on the home page of the blog then you can directly add the widget. 1. Click on blogger dashboard layout. 2. Now click on add gadget on the place where you want to add contact us page. 3. Now click on the plus button to add contact form from the gadget. Now your contact form is added in the blogger home page. You can see this. 1 Visitors can contact directly with admin by this page. 2 It rates a good impression on visitors. 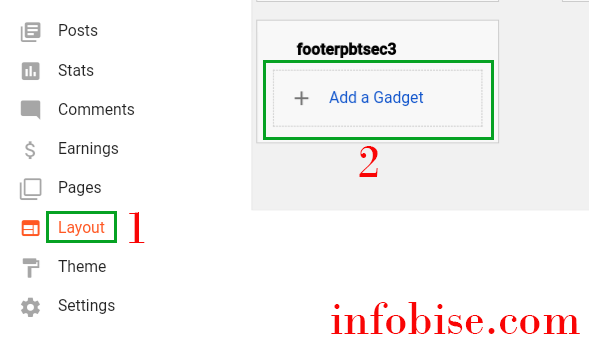 3 This page is important for the approval of the Google Adsense. If you have any question related to this or any other topic you can comment in comment box. And if you have more information about contacting us page you can share with us. 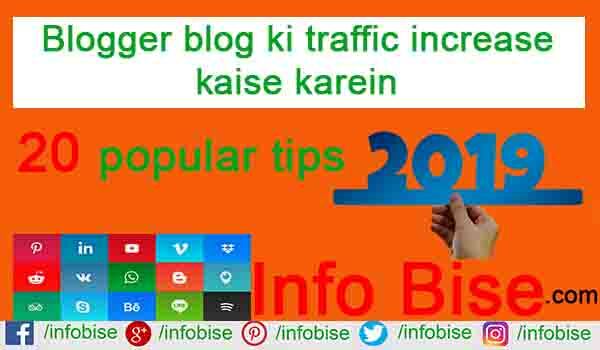 Blogger blog ki traffic increase kaise karein: Apne blog ki designing complete kr ky jab hum posts ko share karty hain.Us ky bad next step blog pr traffic ko increase karne ka hota hai.Hr new blogger ky mind mein yeh sawal br br ata hai ky apne blog website pr visitors ko kaise increase karein? Hr blogger apne website pr traffic ko increase karne ky liye different methods ko use karta hai. Agr ap mujh se pochein ky blog pr traffic increase karne ka easy method kon sa hai? Mera jawab “Social Media” hoga.Humein apne blog ky liye social media se bhot zaida traffic mil jati hai. 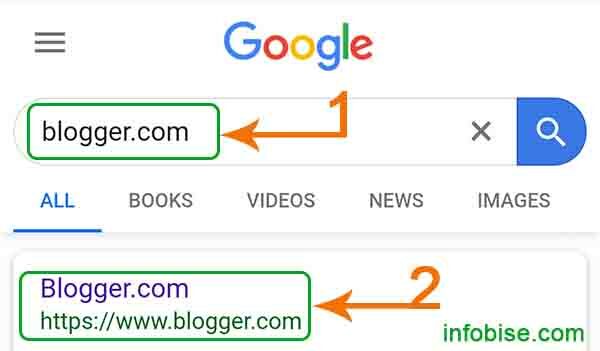 Magr blog ko search engines mein top pr le kar ane ky liye sirf social media he kafi nahin hai.Humein apne website ko ranking mein top pr le kr ane ky liye "backlinks" ki bhi zarorat hoti hai.Social media se humein “nofollow” links milty hain.Es liye humein apne site ki ranking aur traffic ko increase karne ky liye different sources ko use karna parta hai.Aj ki es post mein apko en sources ky bary mein detail se batawn ga.
Post quality user ko attract karne ka best way hai.Hum jab bhi koi post share karty hain.Agr visitors ko pasand ayi gyi tou wo br br humare site pr ana chahyn gyn.Jab ap post ko likhe tou aise likhe jaise ap audience ky sath amne samne baat kar rhe hain.Aisa content share krein.Jis ko visitors read kr ky apko apna ideal bana lein.Apka content jitna zaida user friendly hoga.Wo visitors ko utna he pasand aye ga aur google us ko ranking mein bhi top pr le kar aye ga.
Blog ki simple designing high traffic le kr ane ky liye zarori hai.Humara blog jitna simple hoga.Visitors ko utna he attract kare ga.Agr ap ky blog ki designing ache nahin ho gyi tou visitors ap ky blog ko pasand nahin karein gyn.Search engines and visitors ko attract karne ky liye apne site ki designing ko simple rakhyn. Bhot se new blogger es baat ko ignore kr daity hain.Apne blog pr traffic ko increase karne ky liye usko seo friendly banayn.Es ky bina hum apne blog pr traffic ko increase nahin kr sakty. Guest post blog ki traffic ko increase karne ka acha tarika hai.Es se humein dusri site se backlinks bhi milty hain.Dusru ki site pr guest post karne se logn ko humare aur humare site ki pechan hoti hai.Agr humara content acha hoga wo zaror humare site ko visit karein gyn. Blog pr traffic ko increase karne ka ek tariqa blog commenting bhi hai.Different blog pr comment karne se humein traffic ky sath sath backlinks bhi milty hain.Hamesha koshish karien ky apka comment achy se acha ho.Ap ka comment acha hoga tou apko zaror es ka benefit mile ga.
Hamesha fast loading template he use karein.Humary blog ki loading speed jitne fast ho gye.Vistiors pr utna he acha impression pare ga.Koi bhi visitor aise site pr dobara ana pasand nahin karta jis blog ki loading speed bhot zaida ho.So, jitna ho saky apne blog ko fast loading banayn. Apne blog ko baqio se unique show karne ky liye us mein custom designing karein.Ap apne site ko jitna eye catching designing karein gyn.Wo audience ko utna he attract kare ga.Ap apne blogger ko achy se design karne ky liye kise senior blogger ki help le sakty hain. Apne post mein social buttons ko zaror add karein.Agr visitors ko apki post pasand aye gyi.Wo apki posts ko social site pr share karna chahyn gyn.Apne blog mein apni social sites ky links bhi add karien.Jis se visitors apko social sites pr follow kr sakyn. Audience ky sawalu ky jawab daine ky liye apne blog se related ek sawal jawab forum create karein.Es ky zariye se ap ky blog pr kafi traffic increase ho gyi aur wo baqio se bhi ap ky forum ko join karvayn gyn. Jab ap se koi bhi visitor sawal pochy tou koshish karein ky us ka jaldi aur properly jawab dein.Es se visitors apki site ko pasand karein gyn aur humare site ky sath attach rhyn gyn. Jab bhi koi new post share karein.Us pr ek video bana kr YouTube pr upload kr ky post mein uska link dy dyn.Agr kise ko ap ki post ka koi point samjh nahi ata.Wo video se easily samjh le ga.Es ky sath sath apko apne YouTube channel pr traffic bhi mil jaye gyi. Apne hr new post mein related post ka link add karein.Hr successful blog es tricks ko apne post mein use karta hai.Apka content acha hoga tou visitors apki dusri posts ko zaror read karna chahyn gyn. 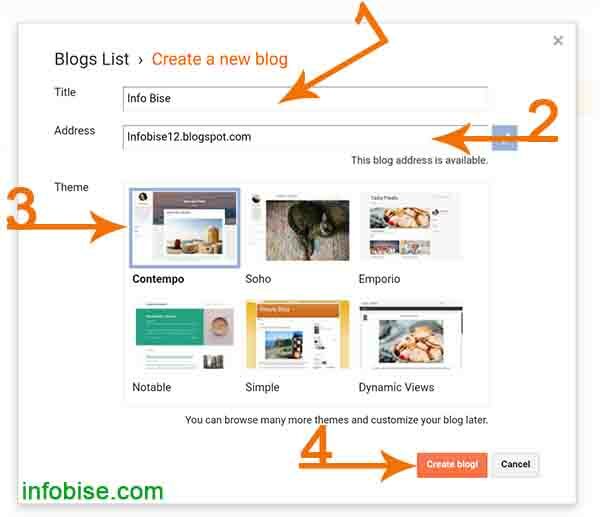 Apne old visitors ko blog ki new posts ki update deine ka best tarika email marketing hai.Email delivery ky liye Feedburner free and best method hai.Email marketing ky zariye se humein apne blog pr kafi traffic mil jati hai. Social sites pr apne blog se related pages and groups create karein.En mein apne new posts ko share karein.Social sites humari website pr traffic le kar ane ka acha method hain.Lakin sirf social sites ki traffic pr depend na karien.Ap jitni organic traffic apne site pr le kr ayn gyn.Ap ki site ki ranking utni he behtr ho gyi. Search engine pr koi bhi word search kia jaye tou us ky hazaru ky hisab se results milty hain.Es liye apne post ko top pr le kar ana kafi muskhkil ho gya hai.Es liye koshish karein ky aisa content share karein.Jo phley se kise ne share na kia ho.Es se apki post jaldi rank ho jaye gyi. Apne post ko attractive banane ky liye us mein 1-2 images ko zaror add karein.Search engines images ko post se zaida support karty hain.Post mein images ko add karty waqt Rename and ALT tag zaror add karein. Kise bhi post ko likhne se phley keywords ko zaror search kr lein.Keywords post ki ranking mein important factor hain.Lakin br br keywords ko repeat karne se bachyn. Interner ko use karne ky liye mobiles sub se zaida use kiye jaty hain.Apne blog ko mobile friendly banayn.Jis se ap ki site ka loading time km ho ga.Apne blog pr hamesha mobile friendly theme he upload karien. Senior bloggers se apne site ky bary mein pochein ky es mein kis cheez ki kami hai.Wo ap ko jo adivice dein us pr amal karne ki koshish karein.Jis se ap apne blog ko ache tra design kr sakyn gyn. Blogging se hamesha jure rheyn.Daily apne blog ko time dein.Ap beshak daily new post ko share na karein.Lakin ek time pr apne new posts ko share karein. Dosto, Agr ap blogging mein successful hona chahty hain tou apko thora sabr karna hoga.Apne website pr traffic ko increase karne ky liye thora time lag jata hai.Ap hardwork karein gyn tou ap zaror ek successful blogger banyn gyn. Agr apko post achi lagi tou apne friends ky sath social sites pr zaror share karein. 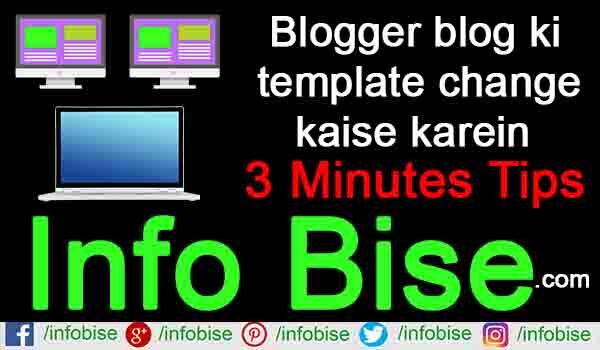 Blogger blog ki template change kaise karein:Blogger pr new blog create karne ky bad ap bhot mehnet ky sath new posts ko share karty hain, apne blog ko time daitly hain, us ko social sites pr share karty hain.Yeh sub kaam karne ky bad bhi apko traffic nahin milti.Es ka ek reason apki website ka user friendly naa hona hota hai. Apne site ko user friend banane ky liye humein sub se phley apne site pr custom template upload karne ho gyi.Ek achi template visitors ko attract karti hai.Jis se visitors br br humari site pr ana pasand karty hain.Es post mein apko btawn ga ky ap apne blog website ki template ko kaise change kar sakty hain. Agr ap chahty hain ky visitors apki site ko pasand karein aur google apki site ko search mein top pr le kar aye tou apko new template upload karne ho gyi.Jab hum Blogger.com pr new blog create karty hain tou blogger humein default free templates daita hai.Yeh templates ab purani ho chuki hain aur zaida user and seo friendly bhi nahin hain.En tamam problems ko solve karne ky liye humein apne site pr custom theme (template) upload karne chahiye. Internet ko use karne ky liye mobile phones ko sub se zaida use kia jata hai.Jab ap kisse bhi template ko apne blog ky liye select karein.Us se phley confirm kar lein ky apki select ki gyi theme mobile friendly hai. Seo humare blog ki ranking ky liye bhot zaida important hai.Jo bhi template upload karein us ka seo friendly hona zarori hai. Fast loading theme ko he select karein.Speed humare blog ky liye bhot zarori hai.Agr humara blog fast loading hoga tou es se visitors pr humari site ka acha impression pare ga.
Humare blog ki theme jitni zaida eye catching and attractive ho gyi.Visitors ko utni he pasand aye gyi.Hameha simple,eye catching and attractive theme ko he upload karein. Sub se phley Blogger.com pr jayn aur login karein.Ap k samne blogger ka dashboard open ho jaye ga.
1:Download theme pr click kr ky apne phle theme ka backup download kar lein.Agr new theme upload karne k bad koi error aa jaye tou problem ko fix kia ja saky. 2:Choose file pr click kr ky apne blog ky liye new template ko select karein. 3:Upload pr click kr dein. Dosto lijiye apki new template upload ho gyi.Es method se ap new theme upload and change kar sakty hain.Ab bhi agr apka theme change se related koi sawal hai tou ap comment box mein poch sakty hain. Apko article pasand aya hai tou apne friends k sath social site pr zaror share karein. 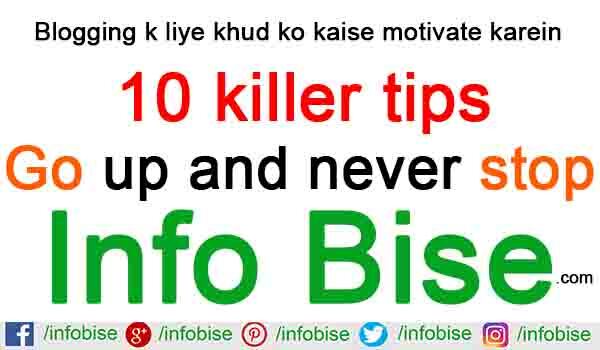 Blogging ky liye khud ko kaise motivate karein: As-Salamu Alaykyum Friends! Ek blogger ky career mein success and failure ek common se baat hai.Ek blogger ko apne career mein kbi kamyabi aur kbhi nakami milti hai.Jis se ek blogger demotivate ho jata hai.Aur bhot zaida desperation(Na-Ummedi) ka shakar ho jata hai.Jo ky blogging career ky liye bhot zaida naqsan-dey hai. Agr ek blogger es tmam situation ko sahi tra handle karta hai tou kamyabi us ky qadam chumti hai.Aj ki es post mein apko btawn ga ky ap kaise khud ko blogging ky liye motivate kr sakty hain aur ek kamyab blogger bn sakty hain. Hum jab koi bhi new kaam shuru karty hain tou jab tak humein khud par yaqeen na ho ky hum es kaam ko kar sakty hain.Wo kaam theak tra se complete nahin kar satky.Esi tra agr hum blogging mein successful hona chahty hain tou humein khud par yaqeen rakhna hoga.Es se humara diyan blogging par rhe ga.
Agr ap se pocha jaye ky ap blogging ko apna career kiyon bnana chahty hain? Tou sub ky different jawab hon gyn pr sub ka ek jawab same hoga ky hum paisey kamana chahty hain.Agr ap log paisey ky liye blogging kr rahe hain.Tou ap log es baat ko boul jayein ky ap ek successful blogger bn sakty hain.Hum ne blogging ko paisey ky liye nahi balky apne shouq ky liye karna hai. Agr hum paisey ky liye blogging karty hain tou shuru mein hum kafi shouq ky sath posts share karty hain lakin kuch time bad humare pass ideas nahi hoty ky hum kis topic pr post share karein.Agr hum blogging ko shouq bna lyn gyn tou hum kamyab b ho gyn aur daily humare mind mein new new new ideas bhi ayn gyn. Social Media humare life ka ek hisa bn chuka hai.Yeh baat ignore nahin ki ja sakti ky social media ko marketing ky liye bhot zaida estemal kia jata hai.Aur social media ky zariye se humare blog prr kafi zaida traffic ati hai.Lakin agr hum zaida time social media pr guzarte hain tou es se hamara time waste ho jata hai aur humari tawaja b blogging se hat jati hai. Esi liye zarorat ky elawa social media pr time waste maat karein.Ap social media ko apne Blog ki promotion ky liye use kr sakty hain. Jab ap log ek blog website ko start karein gyn tou apko bhot se logn ko face karna pare ga.Kuch log apko motivate karein gyn aur kuch log apko demotivate karein gy, tou ap ne aise Situation mein khud ko apne goal pr focus karana hai.Aur haters ki tarif tawaja nahin deni.Yeh stage ek blogger ky liye bhot zaida mushkil hota hai.Ap aisi situation ka bahadari se muqabala karein gyn tou ap zaror successful blogger bne gyn. Ap khud se pochein ky ap ek post ko kiyon apne blog pe share kr rahe hain? Tou sub ka ek jawab same hoga ky es se dosru ki help ho gi.Agr ap yeh soch rhe hain ky mein dusru ki help karn ga unko sekhawn ga.Apki yeh soch theak hai pr ap ne phley khud sekhna hai.Apne liye posts ko likhna hai.Us ky bad dosru ko sekhana hai. Jab ap blogging ko shuru karein tou ap ne es baat ko nahin daikhna ky dosry kis topic pr likh rhe hain.Ap ne un topic pe blogging ko start karna hai jis mein apko interest hai.Jis cheez ka apko zaida ilm hoga ap us cheez ko ap baqio ky sath zaida behtr tareeqy se share kar sakyn gyn aur successful blog bn sakhyn gyn. Jab ap blogging ko start karty hain tou us ky bad ap ko chahiye ky ap blogging pe focus karein.Ap blogging ko daily time dein.Ap apne blog pr kiye jane wale comments aur sawalu ky properly jawab dein.Beshak ap daily new post na karein pr ap acha content aur apni blogging routine ky mutabiq posts ko share karein.Es se visitors pr apka acha impression pare ga.
Jab koi new blogger blogging start karta hai.Wo waqt ky sath sath apne blog mein changing nahi karta.Jis se visitors ap ky blog pr ana bnd kr daity hain.Jo ek blogger ky liye bhot zaida nuqsan ki waja bnta hai.Ap ne waqt ky sath sath apne blog mein changing kr ky usko advanced ki tarif le ky jana hai.Jis se visitors ap ky blog se bour nahin hon gyn aur ap ky blog ky sath attach rhe gyn. Jab bhi koi new topic share karein tou us ko basic se advanced ki tarif le k jayn.Ap aisa karein gyn tou visitors daily ap ky blog ko visit karein gyn. Ap ko hamesha sekhty rhena chahiye.Ap sekhna chor dein gyn tou yeh aise he hai jaise ap khud ko ghar mein bnd kr dein.Es se apko ghar ky undr ka tou pta chalta rhe ga ky ghar ky undr kya ho rha hai lakin ap bahir ky mahool se na-waqif hon gyn.Blogging mein successful hone ky liye zarori hai ky ap new new cheezu ko sekhty rahyn.Jo ky ap ko ek successful blogger banane mein help karein gyn. Ap ne apne blog ky liye ek goal set karna hai aur phr planning karni hai ky mein apne goal ko kaise achieve karon ga.Ap bina ek target ky blogging ko start karein gyn tou kuch dinu bad apka interest blogging se khtm hona shuru ho jaye ga.Aur ap blogging ko hamesha ky liye chour dyn gyn.Apne blog ky liye ek target set karein. Mujhe 6 Months mein apne blog pr etne traffic le ky ani hai.Ap ne es ko apne liye challenge samjhna hai aur es pr work karna hai. Dosto daily thousands ky hisab se new blog create hoty hain.Un mein se sirf 10-15% he kamyab hoty hain.Ap blogging ko apna careen banana chahty hain tou ap ko bhot zaida struggle karne ho gyi.Khud ko blogging k liye motivate karna hoga. As compare to past, blogging mein ab competition bhot zaida hai.Humein achy se acha aur unique content le k ana hoga.As a result, ap ek successful blogger bn sakyn gyn aur apne family ko bhi support karein gyn. Ap ka post se related koi bhi question hai ap comment box mein poch sakty hain.Agr apko post pasand ayi tou apne friends ky sath social sites par zaror share karein. Blog ko design kaise karein:Blogger pr blog banane ky bad next important step hota hai ky es ki designing kaise karein?Blog website ko eye catching and attractive hona chahiye.Agr humari site visitors ko pasand ayi gyi tou wo naa chahty howy bhi kuch dair humare website pr rukhna chahyn gyn. Esi tra Seo k hisaab se bhi blog ki designing achi honi chahiye.Ap soch rhe hon gyn k es ka seo se kya connection hai? Actually, yeh hota hai ky maan lijiye humari kuch posts search engine mein top par hain.Jab koi visitor en ko visit karta hai aur humari site ki look eye catching nahin hoti tou wo foran site se chala jata hai.Jis se humare website ka Bounce Rate zaida ho jata hai, jis ko kamm hona chahiye.Agr hum es ko professional look dena chahty hain tou humein apni site ko ache traa se design karna hoga. Blog ko achy se design karna kiyon zarori hai?Dosto blogging se paisey kamany k liye traffic ka hona zarori hai.Agr humari site ki look eye catching ho gyi tou visitors bar bar humari site par ana pasand karein gyn. Ap apni site ko theak se design nahin karein gyn tou koi bhi apki website par wapis nahin aye ga.As a result, hum blogging mein successful nahin ho sakyn gyn.Aj ki post mein apko btawn ga ky hum apne site ko professionally kaise design kar sakty hain. Jab hum new blog create karty hain tou blogger par humein kuch default templates milti hain.Jo kafi low quality ki hoti hain aur etni eye catching bhi nahin hoti.Es liye sub se phley apne blog k liye koi achi se template select karein jo fast loading aur eye catching ho. 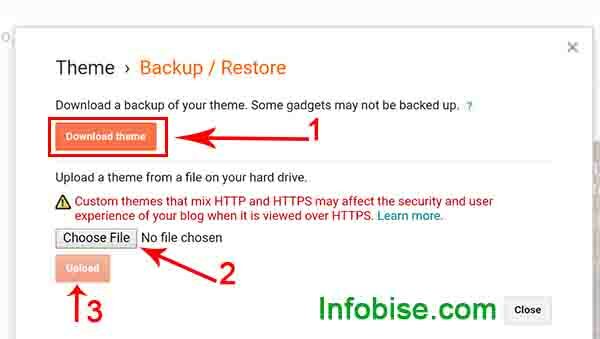 Internet par blog k liye bhot se free and paid templates available hain.Ap ko jo bhi template pasand aye us ko apne blog par upload kar dein. Template select karty waqt es baat ka khayal rakhein k wo seo friendly and visitors ko attract karne wali ho. Dosto ek attractive logo humare website ko chaar chand laga daita hai.Agr ap ne abhi tak apne site ka logo nahin banaya tou ek acha sa logo bana kar laga dein.Logo humary trademark ko represent karta hai.Logo ko header section mein lagaya jata hai, har new visitor logo ko zaror daikhta hai.Agr humare blog ka logo well-designed ho ga tou es se visitor par achaa impression parhe ga.
Ap ne aksar Google ka “g”, Facebook ka “f”, Blogger ka “b” and Infobise ka “i” daikha hoga.Es word ko Favicon kha jata hai.Actually, Favicon humari domain ka first word hota hai,jo search engine tab mein show hota hai.Ap es ko bhi design kar k apni site par laga dein. Jab visitors humare blog ko visit karty hain tou popular posts parhna pasand karty hain.Agr humari site mein popular posts widget add nahin hoga tou visitors zaida time k liye humari site par nahin rokhyn gyn.Es liye apne site mein popular posts ka widget add karein.Jis se har koi easily popular posts ko read kar saky ga aur agr humara content acha hoga tou humary blog ko subscribe bhi kar le ga. Visitor k liye blog ki new posts ko apne email par hasil karne k liye email subscribe widget add karna zarori hai.Es se humara blog attractive nazr ata Hai. Email subscription k through humare blog par zaida view mil jaty hain.Agr humari site par 1000 subscribers hain tou humein har post par 500 views easily mil jayein gyn. Blog mein search box hona bhot zarori hai.Jis se visitors ap ky blog mein apne pasand ki posts ko search kar sakyn. Ap acha content likhe gyn tou visitors ap k blog ko pasand karein gyn aur ap k bary mein parhna chahyn gyn,es ky liye apko About Us page create karna zarori hai.Audience ky personal questions and feedback ky liye Contact Us page create karna bhi important hai. Blog ko create karne ky bad us ko professional look daine ky liye navigaton ko complete kar lein.Visitors ko navigate and blog ko attractive look daine ky liye apne blog ky labels ko menu and sub menu mein add kar dein.Jis se visitors easily apne top se related posts ko read kar sakyn gyn. Blogger par blog create karene ky bad humare blog mein powered by blogger extension nazr ati hai.Jis se visitors ko humara blog pasand nahin ata.Apne website ko professional look daine ky liye es attribution ko remove kar dein. Blog ko attractive banane ky liye us mein about author widget ko add karein.Es se ap ky content mein char chand lag jaty hain.Apne es mein apne bary mein limited words mein likhna hai aur es mein ek high quality picture add karne hai. Apne blog ko attractive, eye catching and professional look daine ky liye en steps ko follow karein.Agr apka blog user and SEO friendly hoga tou visitors blog ki bad posts ko bhi parhna pasand karein gyn aur ap AdSense approval bhi le sakyn gyn. Agr apka blog ko design karne se related koi bhi question hai tou ap comment box mein poch sakty hain. Agr ap ko post pasand aye tou social sites par apne friends k sath zaror share karein. Online free websites banane k liye differents platform available hain.Lakin en mein se doo platforms Blogger.com and WordPress.com bhot famous hain.Koi bhi new person starting mein Blogger pr apna blog create karta hai.Blogger google ki ek service hai jo free mein blog create karne ki facility daita hai.Jahan humein kise bhi investment ki zarorat nahin hoti. Yeh humein free domain and webhosting ki service daita hai.Agr humare pass kise bhi field se related knowledge hai, Ya hum online apne business ko promote karna chahty hain and online paisy kamana chahty hain tou humare pass ek blog hona bhot zarori hai. Es platform pr free website banana koi etna mushkil kaam nahin hai es post mein apko detail k sath btawn ga k Blogger pr free Website kase banayn. 1. Blogger ka sub se braa faida yeh hai k hum bina domain aur hosting k free website bana sakty hain. 2. Blogger blog ko design karne k liye humein coding ka zaida knowledge hona zarori nahin hai.Online hazaru k hisab se free templates available hain.Jin ko hum apne blog mein use kar sakty hain. 3. Hum es k zariye online paisy earn kar sakty hain. 4. Online apne business ko promote kr sakty hain. 5. Blog k zariye se hum apna knowledge duniya k sath share kar sakty hain aur duniya mein famous ho sakty hain. 6. Blogger ko use karna asan hai.Esy new users easily use kar sakty hain. Blog banane k liye kya chahiye? 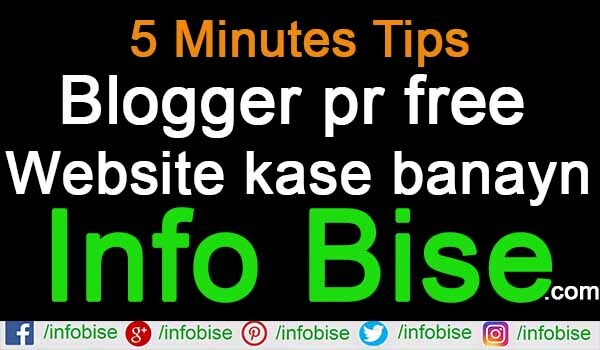 Free blog website kase create krein? BlogSpot pr free blog banane k liye apko zaida kuch karne ki zarorat nahin hai apko bass es post mein bataye gy steps ko follow karna hai. Sub se phley apko Blogger ki website visit karne ho gyi. Jaise he ap blogger ki website pr jayn gyn apko es ka home page dikhaye de ga.
SIGN IN ya CREATE YOUR BLOG pr click karein. Ab apko yahan pr apna email address aur password ko enter karna hai.Us k bad next pr click kr dein. 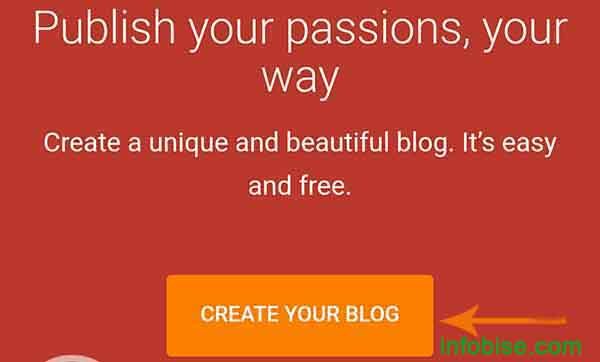 Ab ap k samne blogger ka dashboard open ho jaye ga, Create New Blog pr click karein. Es mein apne blog ka title enter karein. Es mein apne blog ka address enter karein. Agr yeh address available na ho tou address k sath kuch numbers ko add kr dein. Ap es address ko bad mein change bhi kar sakty hain aur apni personal domain bhi add kar sakty hain. Yahan pr apko apne blog k liye ek template ko select karna hai.Ap jo bhi template select karein gyn apka blog usi deisgn ka hoga.Ap es template ko bad mein change kr k apni marzi ki template upload kar sakty hain. Ab create blog pr clik kr dyn.To dosto lijiye apka blog create hai.Ab ap k samne blogger ka dashboard open ho jaye ga.Ap yahan se apne website pr new post likh kr upload kar sakty hain. Tou yeh thi Blogger pr free Website banane ki full guide.Apka es se related koi question hai tou ap comment box mein poch sakty hain.Sirf apna blog create karna he kafi nahin hai apko ek successful blogger hone k liye mehnat karne pare gyi. Agr apko yeh post pasand ayi hai tou apne dostn k sath social sites pr zaror share krein. 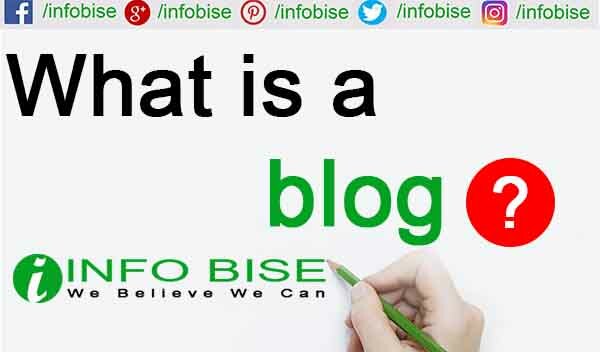 What is blog? What is a blogger? What is blogging? Yeh wo teen sawal hain jo hr us insan k damagh mein hoty hain jo first time word Blog sunta hai.Aj ki es post mein apko en three questions ka jawab don ga.Mujhe yaqeen hai k apko yeh post parhne k bad blog, blogger aur blogging ki samjh aa jaye gyi. Blog ko ap ek diary ki tra samjh sakty hain.Farz kijiye ap k pass ek diary hai jis mein ap un cheezu ko likte hain jin ka apko ilm hota hai.Agr hum apni esi diary ko internet pr dusru k sath share kr dein tou is ko Blog kha jta hai. Mann lijiye apko Blogging se mutaliq bhot sa ilm hai.Ap apne is ilm ko duniya k samne blogging k zariye share kr sakty hain.Ap blog pr apne experience ko share kar sakty hain.Jis se dusre apki baatn pr amaal kr k apne life mein successful ho sakty hain.Ap blog pr Daily Life topics, Health Tips, Social Media and Tech se related information ko share kar sakty hain. Wo person jo blog pr muktalif articles likh kr dusru k sath share karta hai us person ko blogger kha jata hai.Ek blogger apne thoughts and skills ko apne blog pr share karta hai.Jis se dusru ko help milti hai. Kise bhi Blog pr jab koi Blogger kise bhi topic pr article likh krr share karta hai tou is sare process ko Blogging kha jata hai. Wo Blog jis mein hum apni daily routine ko share karty hain.For exemple humein kya pasand hai? Humara favorite color, birds, songs, movies, etc.Es tra k blog ko Personal blog kya jata hai.Hum personal blog pr apne experiences ko bhi share kar sakty hai jis se dusru ko kafi guideline mil jati hai. Jaisa k naam se he zahir hai k yeh blog education se related hai. Educational blog main studies se related maloomat ko share kia jta hai.For exemple hum educational blog mein students ko paper attempt karne k liye guideline de sakty hain, Hum students ko career councelling mein help kr sakty hain, Hum un ko btai sakty hain k kon sa subject aur kon sa college ya university un k liye theak rhe gi wagera. Yeh blog ki wo type hai jis mein logn se technology ki maloomat share ki jati hain.Blog ki yeh type bhot zaida famous ho rhe hai. 1. Computer se mutaliq maloomat ko share kr sakty hain,Computer tricks ko logn se share kr sakty hain. 2. Hum visitors k sath Mobile Phones aur Social Media se related information share kr sakty hain k wo kon sa mobile buy krein and us ki kya specifications hain. 3. 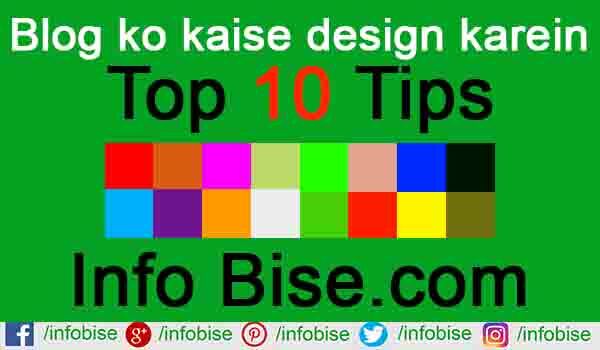 Hum apne Blog prr Graphics Designing tips, Programming, Internet tricks wagera ko share kr sakty hain. Is tra k blog mein hum films ,Cricket wagera ki duniya se related maloomat ko share karty hain.Is tra k Blog mein hum ne logn ko chatpati baatn ko batana hota hai.Jis se wo entertain ho sakyn. Lifistyle Blog se murad wo Blog hai jis mein hum dosru se apne rehan sehen k tareequ ko share karty hain.Hum dosru ko behtr zindagi jeene k tareeqy btai sakty hain.Hum unko btai sakty hain k kase wo kmm paisu mein zindagi ko behtr aur khush-Gawaar tareeqe se guzar sakty hain. 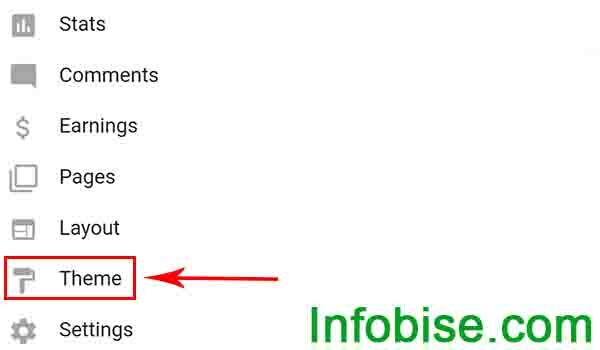 Business blog ko business purpose k liye bnaya jata hai.Es tra k blog pr apne business ki publicity k liye differnet post ko share kia jata hai.Large companies apne website k sath blog ko bhi create karty hain.Jis se un ki website pr traffic bni rhete hai aur unki website google mein top pr rheti hai. Ab event blogging bhi bhot zaida famous ho rhi hai.Events blogging mein hum muktalif events pr animated wishing messages ko share karty hain.Hum muktalif events like Birthday, New year,Mother day, Friendship day wagera pr wishing post share kr sakty hain. Es tra k blog mein dusru k sath health se related tips ko share kia jata hai.Hum dusru ko healthy life guzarne ki tips de sakty hai.Health related blog bhi ab bhot zaida famous ho rhe hain.Agr ap new blogger hain tou ap health blog se apne blogging career ko start kar sakty hain kiyon k es field mein abhi competition etna tough nahin hai. 1. Blogging ka sub se brra faida yeh hai k hum ghar baity paise earn sakty hain.Agr hum mehnat se kam krein to hum apni family ko support kr sakty hai.Bhot se Blogger is waqt Blogging se Millions k hisaab se paisey kamma rhe hain. 2. Humein is se new new cheezu k bare mein pta chalta hai kiyon k jb hum apne Blog pr kise bhi topic pr koi article share karty hain tou us se phley humein khud us topic prr bhot zaida research karni parti hai.Jis se humare ilm mein bhot zaida izaafa hota hai. 3. Blogging k zariye se hum mein likne ki skills paida hoti hai. 4. Blogging k zariye hum apni field se up to date rhety hain. Blogging K liye kya chahiye? 1. Blogging k liye important cheez hai acha content likna .Agr hum acha likty hain tou hrr koi humare Blog ko pasand karta hai.Wo insan Jis ko likhne mein aur information share karne mein khushi milti hai wo asani se blog ko shuru kr sakta hai. 2. Is k elawa apko Computer/Mobile Phone Aur internet ka thora bhot ilm hona chahiye. 3. Aur sub se brrh kr ap k undr kisse kamm ko karne ki laggan honi chahiye. Agr ab bhi blogging se related apka koi sawal hai tou comment box mein ap poch sakty hain.